20 Polkas and Waltzes. Polka City, 2008/2012. The Great One. Polka City, 2008/2013. Frankie Yankovic with the Great Johnny Pecon. Polka City, 2008/2010. Hits I Almost Missed. Polka City, 2008/2012. King of Polka. Polka City, 2008/2013. More Polkas & Waltzes: 20 Hits. Polka City, 2008/2012. We thought it was time to cover the most famous, popular, and best-selling musician in Northeast Ohio’s history. 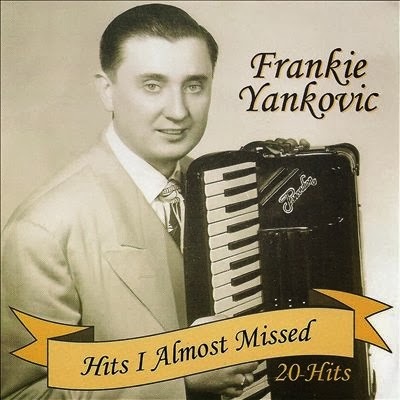 In his time, Frankie Yankovic (1915-1998) sold more than 30 million records, had huge #1 hits on the pop charts in the pre-rock era, had several television shows, recorded hundreds of songs, was named the King of Polka, and has his own section in the Cleveland Style Polka Hall of Fame in Euclid. His influence was enormous, and continues among today’s polka musicians, including Bob Kravos, Eddie Roddick, Joey Tomsick, and Don Wojtila. Born in West Virginia, his family moved to Cleveland when he was young, and he grew up in the rich cultural traditions of Collinwood’s ethnic enclaves. He was a professional paid musician by his teenage years, and hit the big-time in the post-war period, cranking out hit after hit, beginning with “Just Because” in 1947. He toured constantly, with 300 shows per year not unusual, and had numerous changes in band lineup. Among those who worked with him for significant periods of time were Johnny Pecon (button box and piano accordion), Adolph Poczatek, banjo, guitar, & other instruments), Hank Bokal (drummer), and Adolph Smick (bass). The Polka City label has seen fit to reissue (and reissue again) much of Yankovic’s recorded output. The selection I’ve chose above is only about half of what the label has released, but is a pretty good representation, as each CD contains 20 tracks, so we’re looking at 120 songs. There is very little overlap, so if one were interested in several, there isn’t much trouble with duplication, and the price of each CD is quite reasonable, ranging from $7-$11 depending on where one purchases (CD Universe is cheaper than Amazon). There are lots of other compilations on the market from other labels, of course. Many are quite good, but some labels only offer a dozen or so tracks of “greatest hits” so be wary. A few are more comprehensive, such as The Complete Standard Transcriptions, a 2-disc set from Varese Sarabande, or The Early Years, a 3-disc set from Sunshine (out of print), but they are pricey. Your choice depends on what you’re looking for. Of course there disadvantages to these releases, depending on one’s preferences. The hits are distributed. 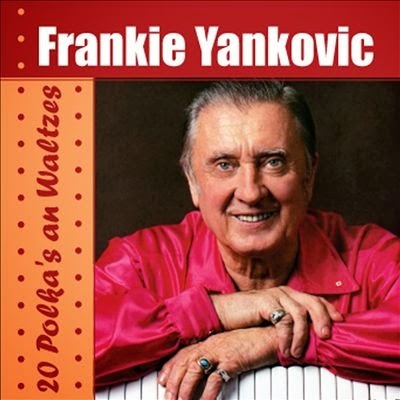 “Blue Skirt Waltz” is on More Polkas and Waltzes, while “Just Because” is on 20 Polkas and Waltzes, and “Hoop Dee Doo Polka” is on the Johnny Pecon album. If you want a greatest hits package, it’s hard to find one that really hits the spot. Some claim to have the hits, but miss all of Yankovic’s really big songs. Others may cover the basics, but are too short (unless you think that 11 songs is okay). The best are out of print. The biggest problem is the lack of information on the CDs. The musicologist and historian will be disappointed in all of the Polka City releases, because there are no liner notes, no indication of when the songs were recorded, no lists who was in the band, or much of any other information that some of us dearly love. This is a very big minus. However, if you just want a bunch of fun polka music, any of these will do just fine. If I had to pick a favorite, I think it would be Hits I Almost Missed, with a great batch of songs I’d never heard before. 20 Polkas and Waltzes: Just Because Polka,The Accordion Man Waltz,Oh! Marie Polka, Beloved Be Faithful Waltz, The Page Polka, The Butcher Boy,Rendezvous Waltz, On the Beach Polka, Way up the Hudson, Clink Clink Polka, Yankovic Polka, When Banana Skins are Falling, Rosalinda Waltz, Ohio Polka, Jolly Polka, Cheer Up Sweetheart Waltz, Shenandoah Waltz, Strabane Polka, Ten Swedes, Cocktail Waltz. Frankie Yankovic, The Great One: Silk Umbrella, Forget Domani, Over Three Hills Waltz, My Favorite Polka, Karen Ann Polka, Tie a String Around Your Finger, Town Tap Polka, Schnaps, Crosskey Polka, Secretary Polka, Fairyboat Serenade, Pretty Music, Carol’s Waltz, Shanty Polka, Joe’s Polka, Once a Year Day!, Pie in the Face, Rendezvous with You, Eddie’s Polka, Pretty Polly Polka. 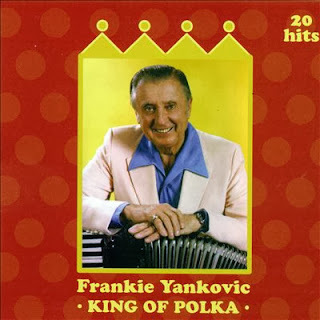 Frankie Yankovic with the Great Johnny Pecon: Hoop Dee Doo Polka, Cafe Polka (Hey Ba-Ba Re Bop), Honey Waltz, Clinker Polka, Marianne, Happy Hour Waltz, I’ve Got a Date with Molly, Iron Range Polka, Summertime Waltz, Hu La La La Polka ,Milwaukee Polka ,Gerald’s Polka, Smiles and Tears Waltz, I’m Gonna Get a Dummy Polka, Felica no Capicia, Jo Ann Waltz, How Many Burps in a Bottle of Beer, Moja Decia, The Waltz that Made You Mine, Play Ball Polka. Hits I Almost Missed: Red Raven Polka, Blue Bird Waltz, Oh Suzannah Schottische, Vienna Forever, Homecoming Waltz, Holtz Auction Schottische, Wooden Heart, True Love, Life in the Finnish Woods, Johnny’s Knockin’ Polka, Skal Skal Skal, Apples, Peaches, Pumpkin Pie, From a Jack to a King, Orphan Waltz, Iron Range Polka, Tennessee Waltz, Drinking Champagne ,Minneapolis Polka, Edelweiss, Barbara Polka. King of Polka: June Night, Robbie’s Polka, Morning Glow, Slovenian Home Polka, Pittsburgh Polka, A Thing of Beauty, Milan’s Polka, Let’s Go Skiing, There Where the Flowers Bloom, A Long Long Polka, Frankie’s Polka, Old Time Flavor, Life Goes On, Beaver’s Polka, Jaz Pa Na Gremazako, Lonely Goatherd, Debbie’s Waltz, Ricky’s Polka, My Sweetheart Polka, La Dolce Vita. More Polkas and Waltzes: My Girlfriend, Julayda Polka, Blue Skirt Waltz, Cherry Polka, St. Bernard Waltz, Rolling Rock Polka, Tick Tock Polka, Shandy Polka, Susy Waltz, Zidana Marela Polka, Give Me Back My Heart, The Girl I Left Behind, Ely Polka, Be Happy Polka, Torna a Sorrento, Emilia Polka, Polkarina Polka, Twilight Polka, You are My One True Love, Be Mine Be Mine Polka, Whoop Polka. It’s hard to do anything different in the blues. It’s been around for a long time and it has certain structures that musn’t be violated without falling outside the boundaries and angering the purists. Patrick Sweany is certainly aware of this, although it doesn’t seem to bother him much. He mixes Piedmont, Delta, and other blues styles in eclectic quantities and often throws in other styles from rock to R&B just because he needs to. He doesn’t even call himself a bluesman, but rather a blues-influenced rocker. But even a purist like me isn’t turned off by that because so much of what he does is informed by blues. He’s put out several albums, and has a consistent, instantly recognizable style. I went to some YouTube videos he did back in 2008, just to see what’s different. 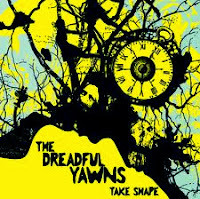 As it turns out, not a lot, except that he sounds a bit more tired, and on this album more down and out. He’s got a winning sound, and there’s no sense messing with it. 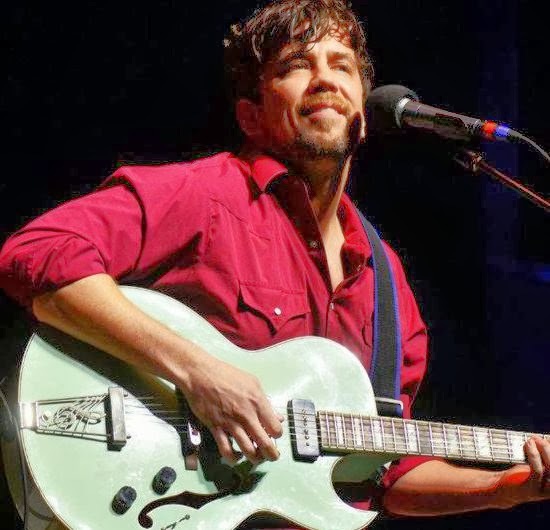 With his latest album, he also adds a dash of Muscle Shoals soul in the mix. The good news is that no matter what he tackles, it never sounds forced, and all the songs work together regardless of mood or approach. The bad news is that I have very little bad news to report. 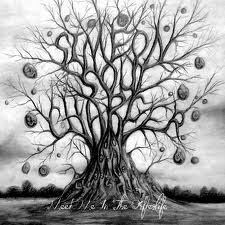 When I listen to Sweany’s voice, I hear lots of influences, or echoes of other singers; not a bad thing, just a curiosity. 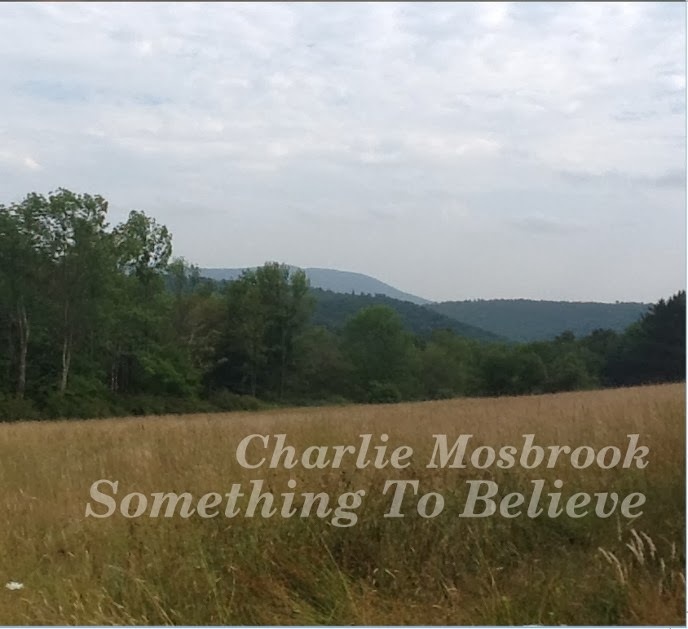 Classic blues singers are always in the background, but this time out I hear touches of Van Morrison phrasing, bits of John Fogerty, and a dash of Ry Cooder. It depends on whether he’s going soulful, rocking out, or singing a ballad. Much of the album deals with loss (apparently of family members), and so one might expect music to drag down the listener, but it doesn’t work that way. Yes, there’s sadness and grief, but there’s also uplift and hope, and even when not expressed in the lyrics, they’re in the sweet, delicious guitar solos that pepper most of the songs. In fact, the majority of the tunes are midtempo, with only three of the dozen originals in the slow ballad category, and each is quite different. The slowest is the mystical-sounding “The Island” (my least favorite song here), but there’s also the loping country sound of “Deep Water,” and the gutbucket blues burner, “Every Night Every Day,” my favorite song on the album. Two songs go in the opposite direction. “Bus Station” is a rocker, with an insistent beat that reminds me of Fogerty’s “Lodi,” and has some really fine, strong guitar work at the bridge. “Just One Night” is sweet soul music in a bit of a Van Morrison mode. Here the guitar work is gentler, but just as good. All the rest of the songs fall into a midtempo range, but with varying mixtures of blues, soul, and rock. “Working for You” has a menacing sound, while “It’s Spiritual” takes a more soulful approach, again a bit like Morrison. 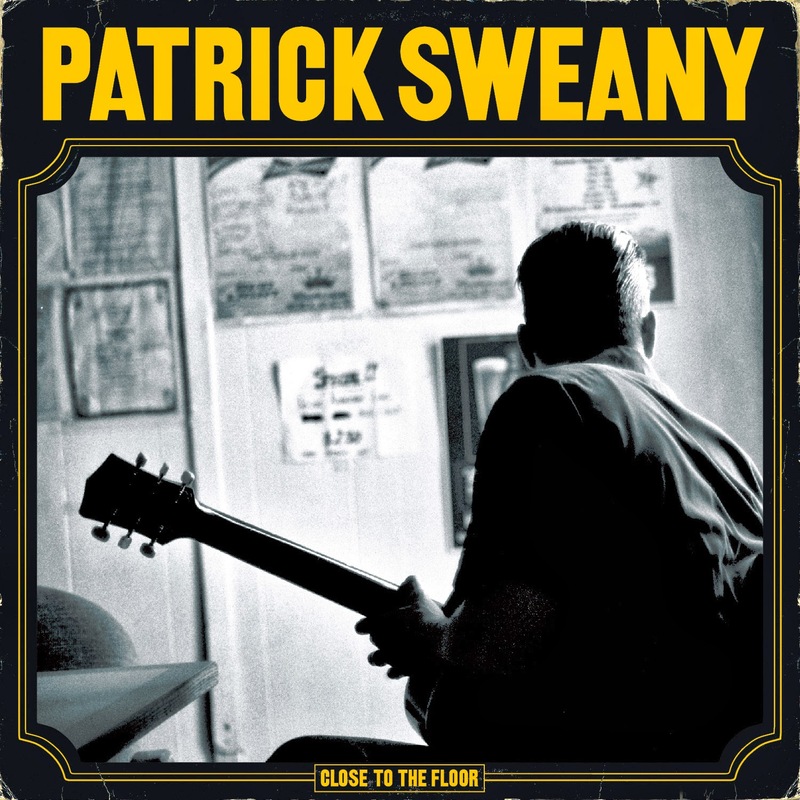 There’s more great guitar work here, and I don’t know whether it’s Sweany or McMahan, but thanks, I love it. “Every Gun” feels percussion-driven, and insistent rocker with a dark message, and “Slippin’” takes us into the bars, Bobby “Blue” Bland-style. The closer, “Terrible Years,” takes a more acoustic approach. Every song is different, every song is damned good. And the band is excellent. I haven’t listened to much of Sweany’s music before, and I’m sorry that I’ve missed some great music. I shall remedy that oversight. Personnel: Patrick Sweany (guitar, vocals), Joe V. McMahan (guitar, percussion, melodica), Ron Eoff (bass), Ryan Norris (keys, acoustic guitars), Jon Radford (drums, percussion), Carey Kotsionis, Melissa Mathes, & Steve Poulton (harmony vocals). Tracks: Working for You, It’s Spiritual, Every Night Every Day, Bus Station, The Island, Every Gun, Deep Water, Just One Night, Slippin’, Terrible Years. 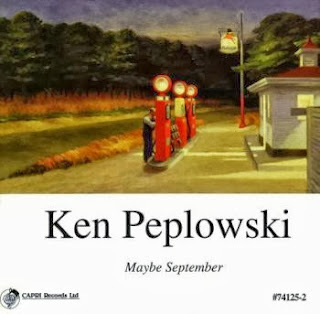 Ken Peplowski seems older than he is. A boomer whose love is swing in all its manifestations, he seems like a member of the older generation that experienced the transition from swing to bop, and likes the newer music but can’t leave his roots behind. This is a wonderful thing in an age where the newest is the best, and history is perceived as a trash heap. Maybe it’s his background. 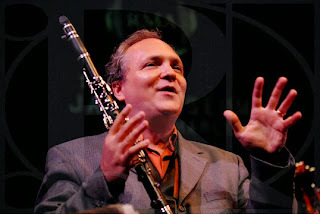 Peplowski started off as a teenager in a polka band in Cleveland playing tenor sax before moving into jazz and switching primarily to clarinet. He plays in all styles and all configurations, from duos to quartets to larger ensembles. This is his third album for Capri Records, having previously recorded several for Nagel Heyer, a pricey European label. It’s nice to have him back. There’s a certain intensity to this album. Not that it’s deadly serious, but there’s a focus, a mood, maybe even a message that Peplowski is pushing. It helps that the entire album was recorded in one session, in about three hours, giving the whole affair a feeling of being a unified whole. It certainly sounds more polished than three hours would suggest. The group begins with the Irving Berlin classic, “All Alone by the Telephone,” done in a subdued frame of mind, with Peplowski’s clarinet playing the melody pretty straight. Much of the album is temperamentally similar, although more uptempo tunes and improvisation follow. “Moon Ray,” an Artie Shaw composition, is one such affair, and he gets in more of a cool mood. We also hear the other musicians more, with a bass solo by Martin Wind, followed by some piano by Ted Rosenthal, then Matt Wilson’s drums. The next track, “Always a Bridesmaid,” goes in more of a bop direction, with a switch to tenor sax. Peplowski was never one to be locked into one style--everything is grist for the mill--although I think his heart is still in swing, where the melody is king. In many ways he uses his instrument to sing, and so playing it straight is his strength, but he also shows that he can do most anything, as his choice of the Poulenc piece, “Romanza” demonstrates. From there, he moves into renditions of songs by Brian Wilson and Paul McCartney, with a Harry Nilsson tune as the closer. 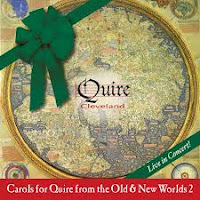 “Caroline, No” (and all the longer pieces) gives the other musicians plenty of room to stretch out, with a gorgeous, melodic solo by Martin Wind. I’m not quite sure what the McCartney song is doing, since it only runs two minutes, perhaps acting as a segue into the brighter Harry Warren piece, “I’ll String Along with You.” But the brightness of the clarinet hides a certain sadness. Here Rosenthal gets his chance to shine in a sweet solo, and there’s a bit more interplay and trading back and forth between Rosenthal and Peplowski than elsewhere, all done in swing style. The Ellington piece is lively, with a bluesy, feel taken on tenor sax, all forward motion. I loved it. The longest and one of the strongest tracks is the Percy Faith tune, “Maybe September,” which has a noir feel that I find very appealing. In his album notes, Will Friedwald suggests that Peplowski is a storyteller. I enjoy the stories he and the band are telling, and I recommend this album for anyone who thinks swing is a thing of the past. There’s plenty more to say. 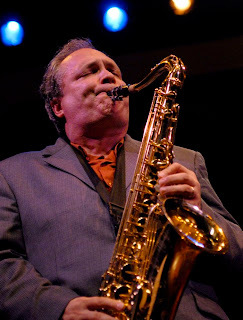 Personnel: Ken Peplowski (clarinet, tenor saxophone), Ted Rosenthal (piano), Martin Wind (bass), Matt Wilson (drums). 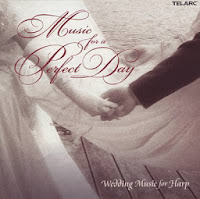 Tracks: All Alone by the Telephone; Moon Ray, Always a Bridesmaid; (Now and Then There’s) a Fool Such as I; Romanza; Caroline, No; For No One; I’ll String Along with You; Main Stem; Maybe September; Without Her. Joe Lovano Us Five. Cross Culture. 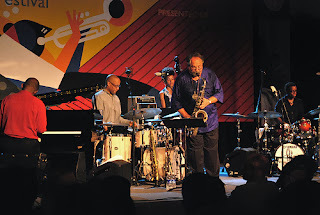 Joe Lovano is more than one person, or at least, more than one musical personality. Born and raised in Cleveland, jazz-fed by his dad, Tony “Big T” Lovano, he has had a sparkling career in the post-bop world, with occasional forays into swing and hard bop, tenor sax in hand. More recently, he has been associated with the collective Us Five. It’s here that Lovano gets to experiment, to go beyond his usual work into unnamed areas. I’ve enjoyed many of his albums, especially Tenor Legacy, Rush Hour, 52nd Street Themes, and Joyous Encounter. This is his third album with Us Five, and I must say that his previous forays with them have been puzzling to me, so let’s see where this goes. “Blessings in May” begins the proceedings, and it’s a fine tune, with Lovano shooting streams notes like cascades of water. Weidman breaks in for a piano solo, which maintains the momentum but is more traditional in approach. The presence of two drummers is obvious from the start. There’s percussion everywhere, but it’s muted, constantly filling the background. This theme continues through most of the tracks, and makes for a fascinating percussion presence. “Myths and Legends” slows the pace, but goes further out musically, and Lovano goes a bit too far in the direction of free jazz for my taste. On “Cross Culture,” we really start to hear Loueke’s contribution on guitar, which provides a countermelody to Lovano’s playing. Their interplay is delightful, with Weidman joining in here and there. Short, choppy phrases seem to be the feature of “In a Spin,” with Weidman holding the center together with his piano while others fly in all directions and the drummers churn underneath. All the compositions here are originals, except for the Ellington/Strayhorn ballad, “Star Crossed Lovers.” This is gorgeously played, slow, sparse, and sweet, featuring Lovano, but it’s easy to hear the contributions of the other musicians, especially Weidman’s piano, Spalding’s bass, and the drummers. Spalding gets a solo in the middle, and she plays beautifully. All the other tunes are quite different in tone than this mid-CD break. “Journey Within” recalls some of the themes of “In a Spin,” but takes a slower approach. Loueke gets solo time on guitar here and more work in general, a break from Lovano’s dominant short and somewhat wild bursts. Percussion takes center stage with “Drum Chant,” a fun romp with the drummers, and Loueke uses his gutar to full effect, sometimes as lead, other times as part of the rhythm section, as there doesn’t seem to be a bass player here. Both Spalding and Slavov get to play on “Golden Horn,” the only place where they overlap, although Loueke goes away. Given the title, one would have expected more sax and less rhythm, but it sounds good. The group goes back to a more traditional style of playing on “Royal Roost,” an uptempo tune with lots of bop, a nice solo by Slavov, and some fine piano work by Weidman. This was my favorite piece on the album. “Modern Man” reminds me of “Salt Peanuts,” a tune I never felt warmly about; its jittery time changes don’t appeal to me, but might to others. “PM” is the closer and the longest tune on the album, another experiment in shreds and patches that doesn’t do much for me. I was glad to spend time with this latest Us Five venture. 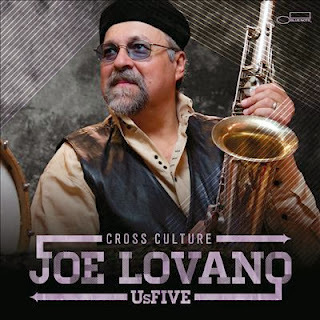 Close listening helped me to understand a bit more where Joe Lovano is going, and what I like and don’t like about that direction. 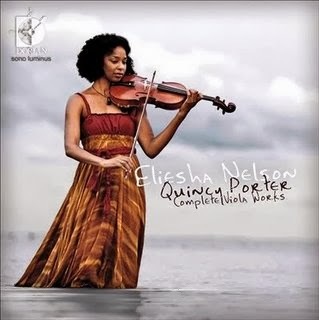 Much of the album I found enjoyable, but stuck as I am in the past of jazz, the more experimental pieces tended to leave me wondering. 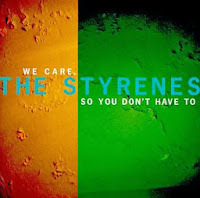 The band is top-notch, and you may discover that the things you like the most are those that I liked least. 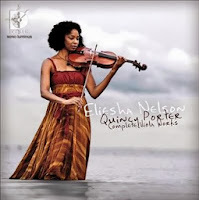 The album is a top contender in the jazz polls, and for that reason alone is worth a try. Personnel: Joe Lovano (tenor sax, G mezzo soprano sax, autochrome, taragato, oborom drum, gongs, shakers, paddle drums), James Weidman (piano), Peter Slavov (bass), Esperanza Spalding (bass), Otis Brown III (drums), Francisco Mela (drums, whistle, balafon), guest, Lionel Loueke (electric guitar). 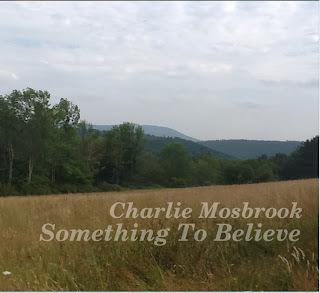 Tracks: Blessings in May, Myths and Legends, Cross Culture, In a Spin, Star Crossed Lovers, Journey Within, Drum Chant, Golden Horn, Royal Roost, Modern Man, PM. We just keep finding stuff to put in the collection, and there seems no end to what’s available in Northeast Ohio, in every genre. Here is the latest list of items we didn’t review, since we caught them a bit late (and since we’ve only had the blog up since last year). Deanna R. Adams. Cleveland’s Rock and Roll Roots. Arcadia, 2010. John Gorman, with Tom Feran. The Buzzard: Inside the Glory Days of WMMS and Cleveland Rock Radio: A Memoir.Gray & Company, 2007.